What happens when your website doesn’t do its job? You lose leads, potential customers, opportunities to be interviewed, sell a book or product, and on and on. In real terms, you lose money and the chance to serve. Your website is your ambassador — it speaks for you. You may have heard that you don’t need a website to do business. I would agree in the short term. I ran this business for 6 months with no website, but not without a web presence. I had an opt-in page with juicy, high value, free offer. But I knew that I’d need one if I wanted to begin to scale my reach and grow my list. Let’s face it: your website is front door to your business and the hub of your marketing. When people are looking for a product, service, or solution, what do they do? The go online and search. Some will ask a friend for a referral first, but then what does the person do? They search for the person online before thinking of making a call. That’s why your website must combine a fresh look, engaging content and calls to action, and be mobile compatible. Of course there is more to be done, but if the foundational pieces are not there you are missing out on marketing that works — whether you are or not. Whether you’re starting from scratch or know you need to improve what you have now, marketing is the first consideration. Technical comes later. 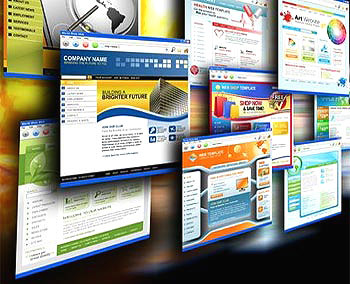 Your website must reach out and touch your ideal client, give them something of value and give them a taste of you. No, not just a taste; a full scoop or two. And how you do that is by knowing what you really do, knowing who most needs or wants that, and speaking in a way that they resonate with. I’ll add one more element. If you bring all of you — sassy, rebellious, savvy, geekie, square, hip — and speak the way you speak to a friend, your people will light up when they find your site. Your people are not you, but they will either resonate with you or not, and we do business with people we get and trust. Having read the above, do you think your site is as good a representation of you and your business as can be? Let me help you answer that. Get clear on whether your website has what it takes with my free, top 10 characteristics of a well-crafted website assessment. pricing, and the habits I needed to become successful!